The Queen to appear on Corrie? Well soapsters, last week Boris Johnson made soap history by becoming the first politician to appear on EastEnders. However, it looks as though Coronation Street are planning to go one better by inviting none other than Her Majesty The Queen to make a special appearance on the show to mark the its 50th anniversary. According to the Daily Star, The Queen is expected to accept the invitation. Well, that remains to be seen. And the paper reporting all this isn’t The Times so we’ll probably have to take it with a pinch of salt. A source from the show said all the stops would be pulled out if The Queen agreed to travel to Manchester stating: "They will literally red-carpet the M6 for the Queen’s special guest appearance." The Daily Star quoted a Coronation Street source as saying: "We had Prince Charles for the 40th, which was great, but the feeling is that for the 50th we had to top even him – and the only person capable of doing that is the Queen herself." Commenting on the likelihood of the Queen agreeing to the show’s latest request, the source said: "The Street sees itself as a national institution, second only to the monarchy, so why not? I don’t know about you folks, but I hope The Queen accepts the offer. 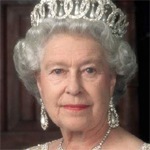 Wouldn’t it be funny to see her in the Rovers being served half a shandy by another famous Liz? I wonder if Her Majesty will be bringing the Corgis?